On Tuesday, January 30, 2018, in its negotiations with the Montecito Water District to supply water to Montecito, the Santa Barbara City Council heard from staff about the Governing Principles of the agreement. The City Council will consider its approval during a City Council meeting in spring 2019. Heal the Ocean was thrilled to learn that one of the Governing Principles of such agreement is that the City shall have the right to supply Montecito from the City potable water supply system as a whole. (Emphasis ours.) This means the water available to Montecito could come from "One Water"- Cachuma, Gibraltar, State Water, and potable reuse water - as well as (and not only) from the desalination plant. The City has long been waiting for the State to finalize its Potable Reuse Standards, the new deadline of which is 2023 - four years from now. In theOne Water scenario, the potable reuse water would be sent to the William B. Cater Water Treatment Plant, which currently treats raw water received from Gibraltar and Cachuma to drinking water standards, and adding desaland potable reuse to this mix would require less desal water to supply both the City and Montecito. 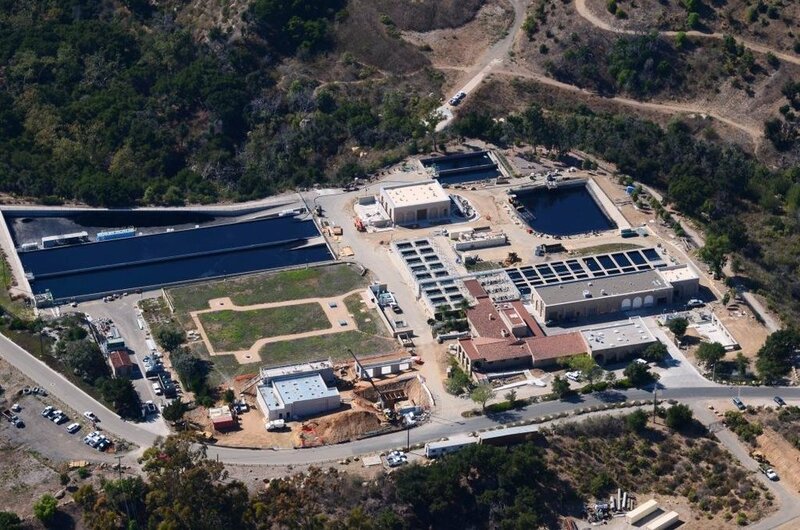 The agreement with Montecito, however, requires the City Desalination Plant to be able to increase production by 1,430 Acre Feet Per Year (AFY) as a guarantee. (The city currently produces 3,125 AFY for its own use.) Thispotential increase in production does not mean it will fully take place, because the water for Montecito is from the City Potable water supply as a whole. An analogy is an insurance policy on a house. Let's say the structure is insured for $500,000 - but if a fire breaks out in the garage, the homeowner is reimbursed just the amount of damages, not the full $500,000. HTO has been working long and hard to promote recycled water, which has included pressuring the State Water Board to move forward on developing standards for Potable Reuse. (Please see James Hawkins report “Inventory of Municipal Wastewater Discharges to California Coastal Waters”). We are all for One Water! An added note: City Water rates will not increase. It is Montecito buying the water - and Montecito Water rates will increase as a result. It has been noted that the increase rates may encourage conservation. Please write your City Councilmembers to approve of the Montecito/City agreement because it urges the City forward with developing its potable water supply!